Today I am going to discuss live username availability check in php with ajax, an approach used by many websites on there registration form. This code is an example of how you can check availability of a username while user type in the forms input field. In order to keep it simple I have left the registration part. I am using PHP with jQuery and Ajax but same can be achieved in any programming language with the ajax call provided in the tutorial. First we will create a table to store our users. You can use you own database/table and change the configuration and query in next step to point to that instead of creating this dummy db table. This script fires a query to database with the name entered by user and returns appropriate message to the ajax function. See next step for ajax call. We will call check.php via ajax and display the appropriate results to the user. That's all we have created a simple mechanism to check username availability with ajax. Feel free to post your suggestions and queries. Login and logout functionality is crucial to any web application. 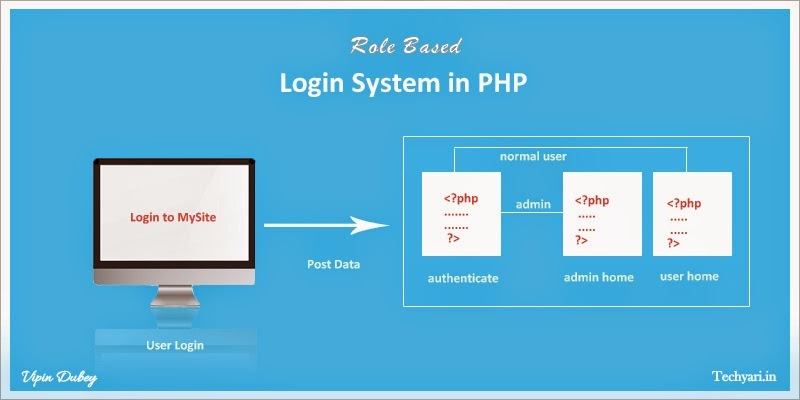 Today I am going to discuss a role based login system in PHP with MySql database. We will have two login roles. One as admin login and another as user login. When logged in users with admin role will be redirected to admin home page whereas users with user role will be redirected to user home page. I am creating two different pages to make it simple however same strategy can be used to show/hide links based on logged in roles as well. To manage users with both the login roles create a database and setup user table and insert at least two rows. one with admin user role and another with user role. Use below code to configure database connection with the database table created in earlier step. Change variable values according to your database environment. Login page contains the login form which points to authenticate.php file when user clicks on login button. In authenticate.php file we receive the user input via $_POST variables and validate the user login credentials. 2=>"Please login to access this area"
This file takes care of authentication, it also requires database-config.php file to connect to database. On validation if a user is admin he is redirected to this page. We have included a piece of code on top of the page to check if session exists and the user accessing the page has admin rights. If not the user will be redirected back to login (index) page with proper error messages. That's all we have built a simple yet powefull login sytem that supports multiple user roles. If you get into any trouble you can download the source code here Share your thoughts below using comment box. Numbered links based on total messages in database table. Next and Previous links based on the page. Below is code to setup a table with two columns id & message. Create a database in MySql and run query given below to setup messages table. Now you need to populate this table with some data at least 20 rows so that we can get a nice feel of pagination. To connect to database via php use below code. Change variable values according to your database environment. 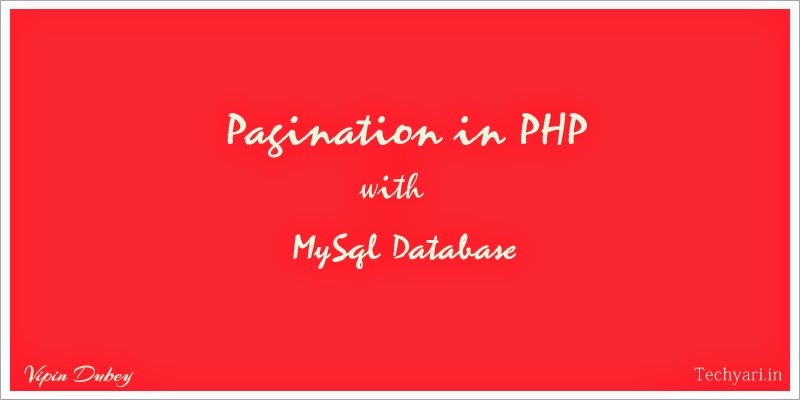 Below is the part of HTML/PHP code which renders data from database with pagination using php. This page requires php code to get data from database ( data.php ), and data.php requires database-config.php to connect to database.